As the first dementia-specific medical-model memory care day center in the Lowcountry, we provide unrivaled private care for those affected by Alzheimer’s or dementia. With a staff of highly trained and experienced dementia professionals leading a cutting-edge and stimulating daily program, we also offer deliciously balanced meals, a one-stop facility for many of your care needs, and emotional support for both our members and their families. Our cost-effective membership provides a welcome peace of mind for all. Alice’s Clubhouse was founded to help not only those affected by Alzheimer’s and dementia, but their caregivers as well. A gap in the healthcare spectrum was discovered when Alice’s Clubhouse President, David AvRutick, and his father were looking for some help in taking care of Alice – David’s mother – after she was diagnosed with Alzheimer’s. Wanting her to stay home, but receive the stimulation and socialization that is so important, the AvRuticks looked for a day memory care program, but discovered that there were no appropriate solutions in South Carolina – and few even in the United States. During this search the AvRuticks met Diane Sancho, now Alice’s Clubhouse Executive Director, who had been seeking to create such a facility. They joined forces to meet the rapidly growing need for new forms of care for those suffering a cognitive impairment and their caregivers. The result? Alice’s Clubhouse. As a dementia-specific medical-model memory care center, Alice’s Clubhouse offers much more than just a cutting edge and stimulating day program for those suffering with Alzheimer’s or dementia. Importantly, it lightens the responsibility that can weigh so heavily on the shoulders of the caregivers. With an onsite medical staff, and available services such as physical, occupational and speech therapies, dentistry, podiatry, and salon services, Alice’s Clubhouse eliminates much of the need to have to travel from necessary appointment to necessary appointment. The respite given the caregivers is as important to us as the quality of care provided to our members. Each staff member working within Alice’s Clubhouse is dementia trained and certified. While the State of South Carolina requires a day center to have a ratio of one staffer to eight members, Alice’s Clubhouse will always maintain a ratio of 1:6 or better. We believe that individualized attention is extremely important. 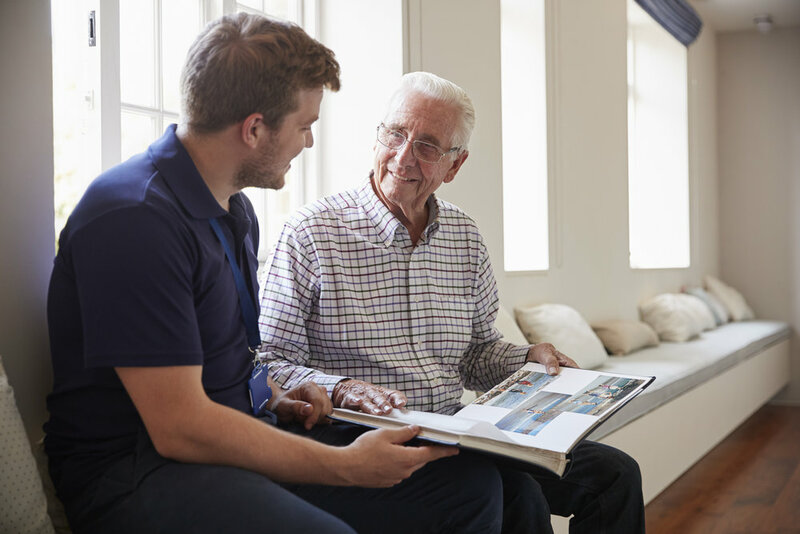 Working closely with each member and their family to understand their interests and needs, we will provide each member with personalized care and stimulation. Diane K. Sancho, MSW, a Mt. Pleasant resident, holds a Master of Social Work degree with specialization in Geriatrics. With over thirty years of experience in the senior health care field, Sancho has devoted her life to teaching caregivers to understand how important it is to care for themselves while they take care of others. Motivated by the Alzheimer’s diagnosis of his mother, Alice, David has applied his wide-ranging business experience to help make Alice’s Clubhouse a reality. With a law degree as a base, David has led both for-profit and non-profit organizations in as diverse areas as book publishing, kayak manufacturing, high technology and the prevention of child sexual abuse. He was also the Founding President of the American College of the Building Arts. With Alice’s Clubhouse, David hopes to be able to really help those suffering with dementia, along with their families and caregivers. In addition to Diane, the Executive Director, our onsite staff includes Registered Nurses, a Certified Nursing Assistant and a Recreational Therapist. Additional resources are also available as part of our Wellness Program.